US authorities will need to overcome sizeable hurdles if they are to successfully prosecute two French Société Générale bankers charged over alleged Libor rigging, legal experts have said. Lawyers cast doubt on whether the women — who are among the most senior individuals yet to face indictment in the global probe into manipulation of the financial benchmark — will ever see a US courtroom, arguing France will be reluctant to extradite them. Danielle Sindzingre and Muriel Bescond were indicted in a federal court in New York this week but neither is in the US and the Department of Justice would not say if it was seeking extradition. “This is ultimately a big stand-off,” said Roger Burlingame, a former US federal prosecutor who now works at Kobre & Kim representing European-based clients under investigation by the US. “As long as they stay in France, they are not going to be extradited.” Neither of the women responded to requests for comment through LinkedIn, and their lawyers could not be identified. French courts in general have been loath to allow the long arm of US justice to reach its citizens. And earlier decisions by the French authorities and courts over the Libor-rigging scandal suggest they would look skeptically at US claims if the pair were to contest extradition. This is ultimately a big stand-off. As long as they stay in France, they are not going to be extradited ROGER BURLINGAME, A FORMER US FEDERAL PROSECUTOR A Paris appeals court refused earlier this year to extradite Stephane Esper, a former SocGen trader who was charged with benchmark-rigging offences by the UK’s Serious Fraud Office. The court reasoned Mr Esper could not be extradited to the UK because benchmark-rigging was not an offence at the time in France. While some banks cleared out swaths of traders and submitters in the wake of the scandal, SocGen still employs Ms Sindzingre and Ms Bescond. The bank has not been fined or charged by US authorities in connection with Libor rigging. Ms Sindzingre was appointed the global co-head of fixed income, credit and currencies in 2015. According to her LinkedIn profile, she is based in London, and Ms Bescond’s profile says she is global head of short-term derivatives, based in Paris. Robert Anello, partner at Grand Iason & Anello, said Ms Sindzingre’s London base could make a difference. “Particularly since she isn’t a UK citizen, the chances of her getting extradited [to the US] are greater than the French extraditing one of their own,” he said. “The French laws will make it more difficult — though not necessarily impossible.” Bruce Zagaris, a partner at Berliner, Corcoran & Rowe, said that if Ms Sindzingre was in the UK, she would be “well advised” to return to France. 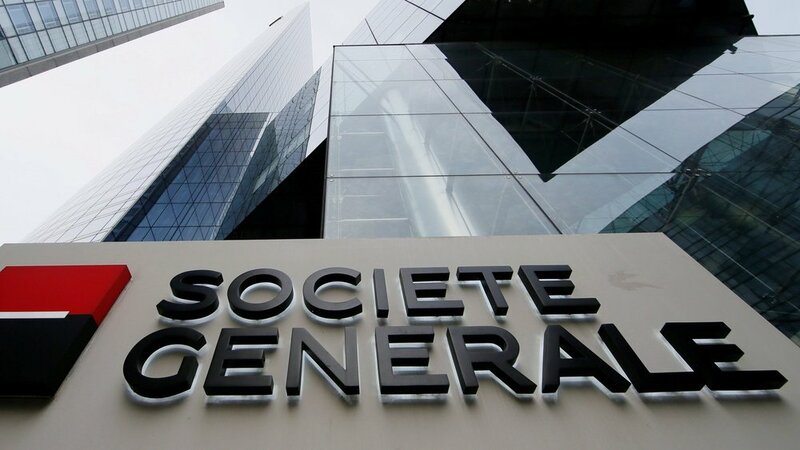 So far, SocGen has been fined only by the European Commission for benchmark-rigging. Brussels landed the bank with a €445.9m penalty in 2013. In total, global banks have paid fines totalling $9bn to authorities around the world over the Libor scandal.